Today I’m sharing one last recipe in my Christmas baking series. 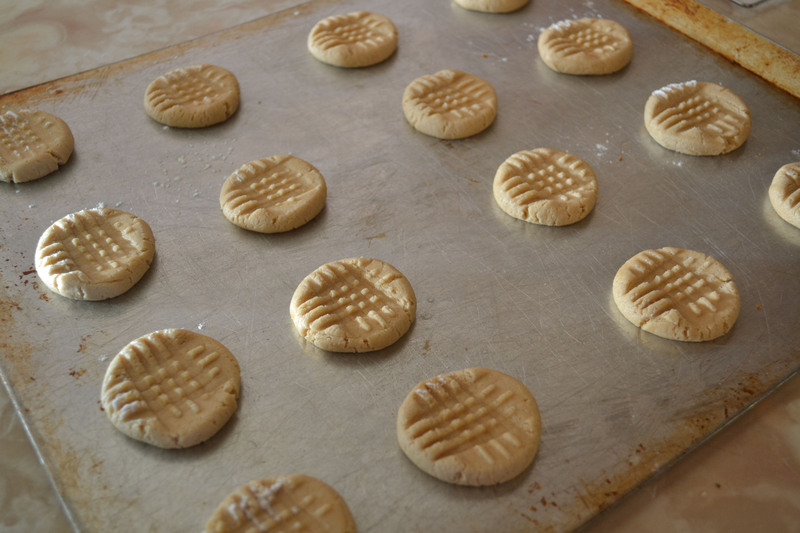 This recipe is for peanut butter cookies dressed up with a simple chocolate rosebud. This is an easy yet delicious cookie. Happy baking! 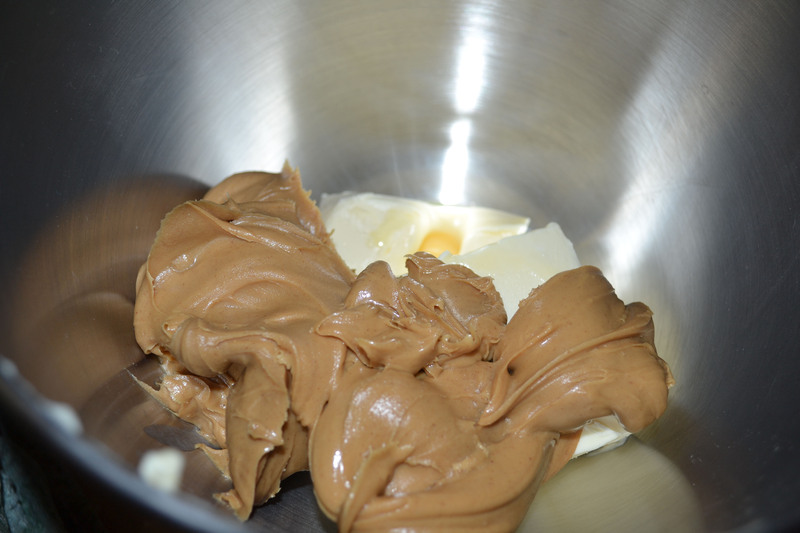 Mix peanut butter and butter. Add sugars, egg and vanilla. Mix. 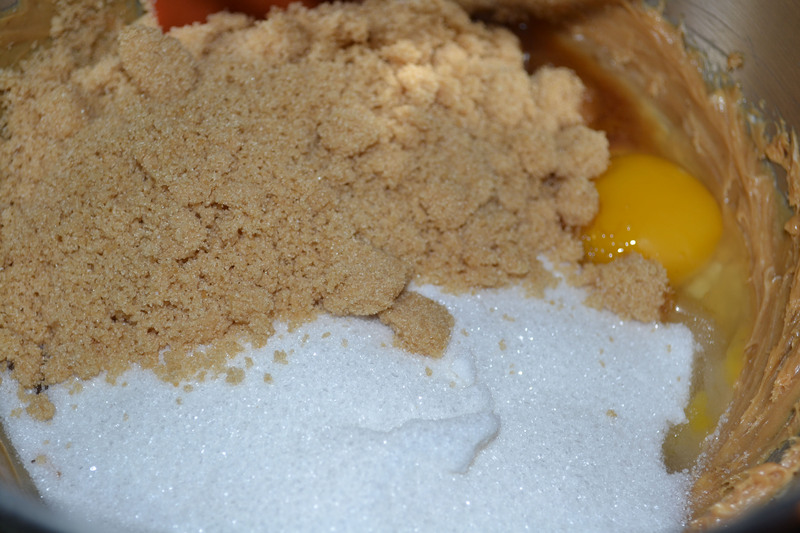 Gradually add remaining ingredients to mixture. 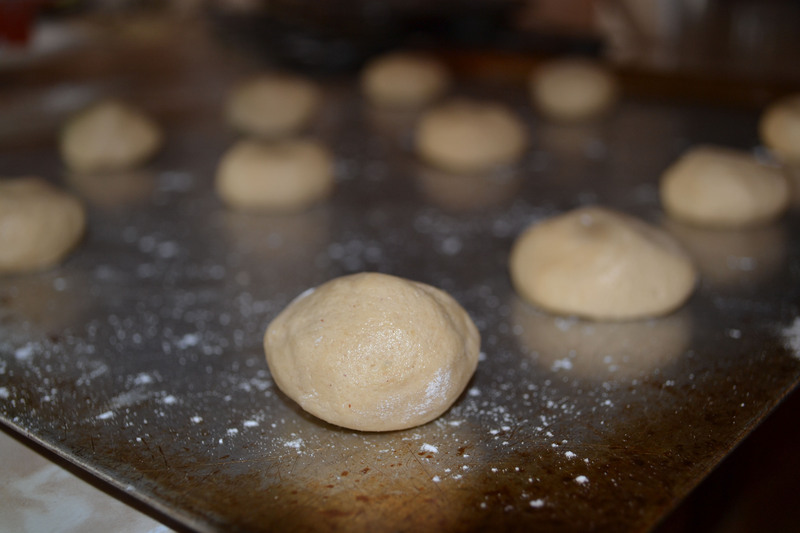 Roll dough into one-inch balls. Place about two-inches apart on ungreased baking sheets. Press flat with fork in a criss-cross pattern to 1/4-inch thickness. Bake at 375 F about 10 to 12 minutes. Remove from oven and press one chocolate rosebud into the centre of each cookie. Yield: about 36 cookies. Note: I doubled the recipe in the photos below. 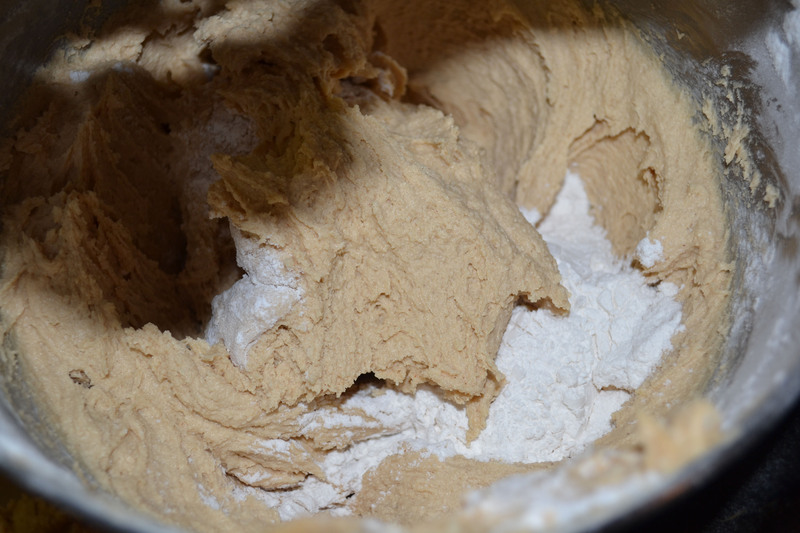 Mix the margarine and peanut butter. Mix in the sugars and eggs. Roll into approximately one-inch sized balls. Press flat with a fork in a criss-cross pattern. 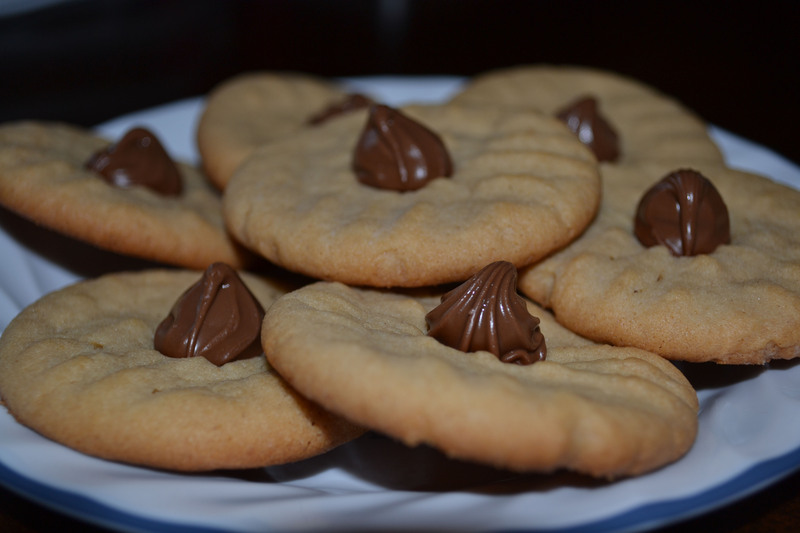 Peanut butter cookies with a touch of chocolate! These are so cute! Like peanut butter sandies. I love the festive little chocolate rosebud. Thanks for commenting, Susan! I’ve never heard of peanut butter sandies. Sounds good! YUM! These look just perfet with the touch of chocolate in the middle!